We are not entering the Anthropocene, the Eremozoic or even the Ecozoic but the Nöocene, says Jamais Cascio. 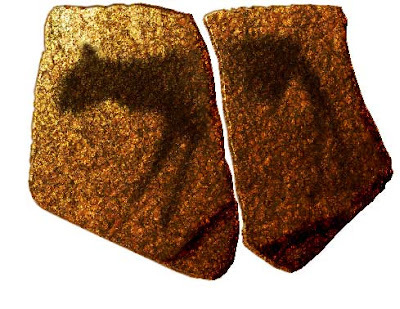 Image: rock slab from the Apollo 11 Cave, Namibia. Perhaps 25,000 years old. P.S. 7 Aug: Andy Revkin gathers some comments.